Live, Laugh, Love - and Scrap! : Where did the name of my blog come from? Where did the name of my blog come from? WELCOME! So, where DID the name come from? Most of you have probably seen signs or decor with the phrase "Live, Laugh, Love." 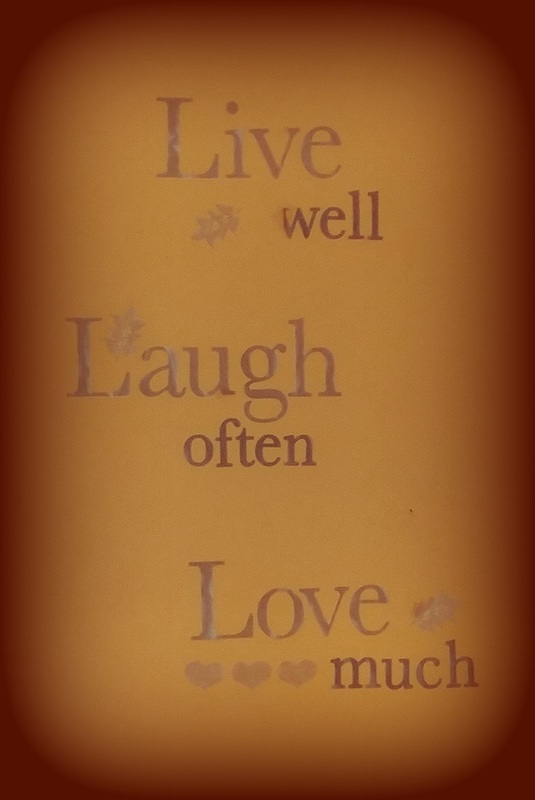 I have one on my wall that says, "LIVE well, LAUGH often, LOVE much." I have always loved that. It seems to sum up a joyful life in six relatively small words. Anyone who can do those things, even through the difficult times, will find joy through their pain AND through their smiles, whichever is applicable, no matter what. Scrapbooking is my happy place. I love doing it, and I love thinking about it and coming up with new ideas. I love sharing my talent with others - as gifts or as items for sale. And lastly, of course I love sharing it through teaching - tips, ideas, techniques, etc. So, I have included "SCRAP everything" as part of my mantra. LIVE well, LAUGH often, LOVE much, and SCRAP everything. That's too long for a title, and especially for a domain name. Can you imagine livewelllaughoftenlovemuchandscrapeverything.com?! So, I picked out the key words and came up with Live, Laugh, Love - and Scrap. For our domain, I shortened it even a little more by taking out the dash and the "and." So, welcome to www.livelaughlovescrap.com where you will hopefully learn how to have as much fun as I have with scrapbooking and other paper crafts for a number of years now. You'll learn MY tips and tricks to fit scrapbooking in your financial and time budget. Welcome to the big leagues, baby!